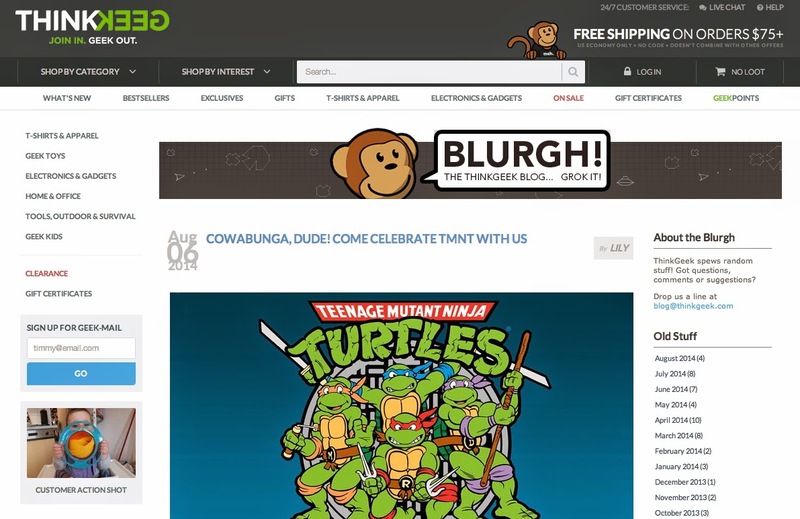 I just noticed tonight that one of my favorite nerdgear websites, ThinkGeek.com, is celebrating the TMNT with a special offer which will result in certain lucky folks getting free pizza (well, actually, vouchers for that hot and cheesy stuff). Check it out at this page! 1. Is there a digital copy of issue 30? I can't seem to find a printed copy nor a digital scan on your blog. 2. I noticed the switch between the duo-shade paper previously used in Mirage Vol. 1 and the first 9 (or 8?) issues of Vol. 4 to the other methods of showing gradients and shades that are currently used; was this due to the fact that you were running low on the paper, as it is no longer in production or was it simply a stylistic choice? Or am I incorrect about the whole thing? I would like to know how you feel when you do not have the rights to the turtles?